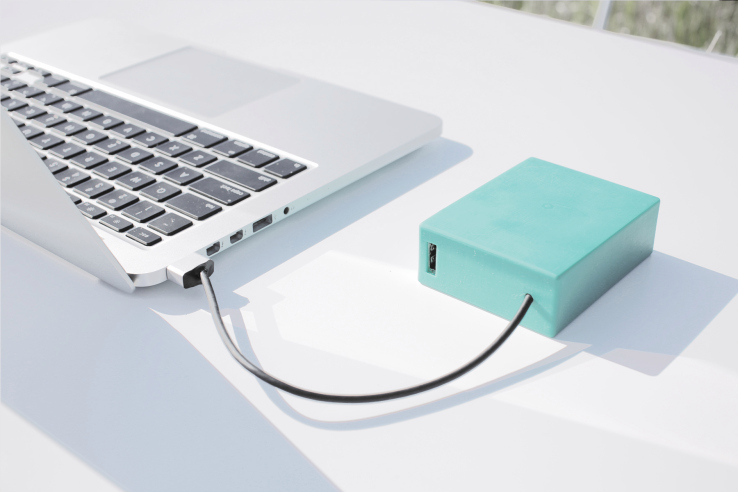 BatteryBox Will Keep Your MacBook Air Running For 12 Hours | OhGizmo! Ever been on a 15 hour flight? It’s gruelling and having some kind of entertainment (besides whatever questionable selection of movies are on board) is essential to live through it. The MacBook Air, much as it does have stellar battery life, will run dry. But if you bring this BatteryBox, it’ll provide enough power for an additional 12 hours of runtime. If you pack a MacBook Pro, that’s still 6 hours extra. Note that it won’t actually charge your battery, but will power the laptop directly. BatteryBox does have a Magsafe2 output so you can plug it directly into the machines, though there’s a USB adapter if ever you need to power something that uses that. Finally, this little 12,000mAh/50Whr box can go through 3,000 full charge cycles and still retain 96% of its capacity after 5 years. That’s some durability, which more than justifies the $139 asking price, in our opinion.